I have always loved walking around old graveyards and absorbing their atmosphere—the peace and stillness, and the feeling of being surrounded by history. I love the old weathered, lichen-encrusted gravestones, some with barely legible inscriptions, some elaborately carved, while others a simple acknowledgement to a life lived. 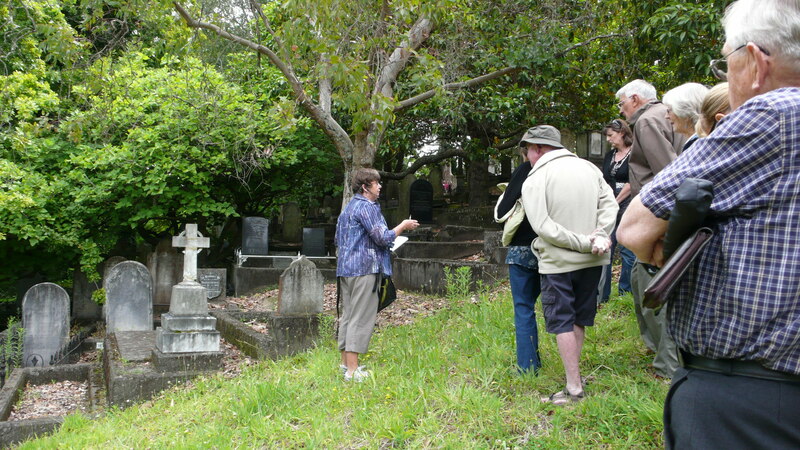 Recently, I saw advertised in our local newspaper, cemetery walks through Napier Cemetery, the old graveyard on the hill where people were buried between 1855 and 1917. I had walked through there several times before—my great-great-grandparents are buried there—but I was fascinated to learn more of its history. So my mother and I turned up on a sunny Sunday to find a large crowd gathered to hear Gail Pope, archivist at the Hawke’s Bay Museum & Art Gallery, and Peter Wells, local author and historian, relate the stories behind the headstones. Napier Cemetery lies in a beautiful natural setting on four and a half acres. The graves are surrounded by masses of wonderful trees providing shade and a haven for the many birds that bring life to the graveyard. For many years the cemetery lay forgotten and neglected, with many of the headstones being damaged in the 1931 earthquake. In 1994, a group called “Friends of the Cemetery” was formed. These kind people tidied up the graveyard and undertook much restoration work. Today, they keep it weeded and tidy and it is a lovely place to visit. As Gail led us around the graveyard, she brought to life the stories of the people buried there, relaying tragic tales of soldiers who died in battle, lives lost in the storm of 1887 and the flood of 1897, stories of brave men who lost their lives at sea, and of the many young children who succumbed to illness and disease. It is a reminder of how hard life was in those days. Then there were tales of the more unusual deaths, such as that of a young man who fell from a train returning home from an annual fete, after having a little too much to drink. Another of a woman poisoned with arsenic by her husband. I was disappointed not to see the man dressed in a Victorian suit and bowler hat, seen roaming the graveyard by several people, who is believed to be the ghost of somebody buried there. Most of the headstones were carved by local stone masons. Some of the more elaborate headstones, such as the marble angels, were imported from Italy. While many of the tombstones hint at the lives of the people buried beneath, others, whose families were unable to afford a headstone, lie forgotten in unmarked graves on the downward slope at the back of the cemetery. I was fascinated to learn about the symbolism of the engravings on the headstones. As we walked past gravestones etched with roses, Gail told us that a rosebud symbolised the death of a young child, while a partial bloom generally signified a teenager, and a full bloom meant the deceased had died in the prime of their life. After the walk, I was interested to learn more about the symbolism of gravestones. Of course, I had to use some of the wonderful photographs I took in a scrapbook layout. 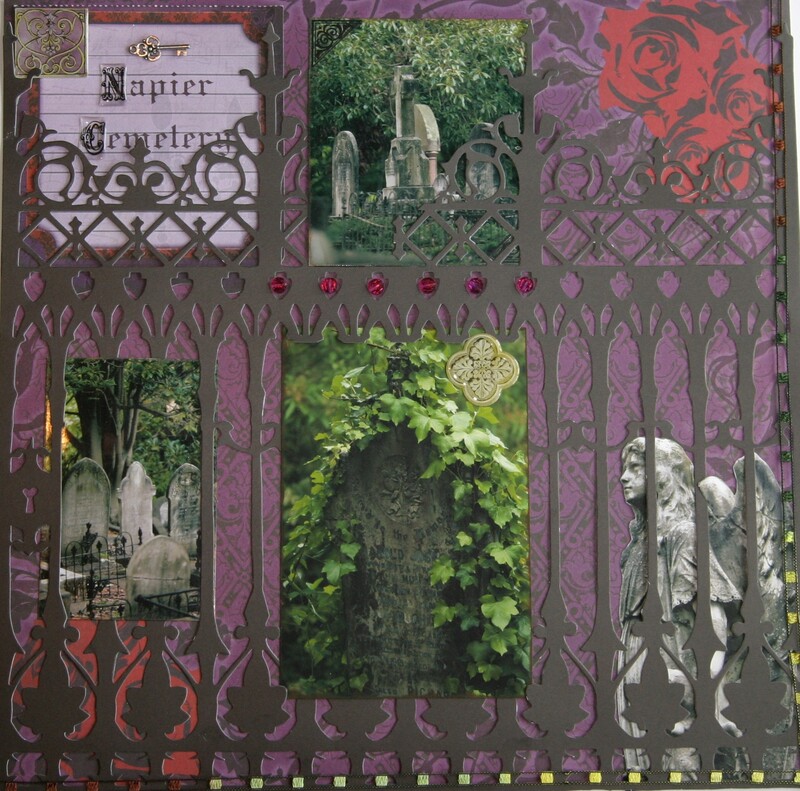 For the first page I wanted to capture some of the atmosphere of the old graveyard—the iron gates, the stone angel, the ivy-covered gravestones. Materials used – Creative Imaginations papers, Creative Imaginations Diecut Bloc-note, Sonnets Poemstones, fibres, key charm, faux gemstones, K-ology letters. 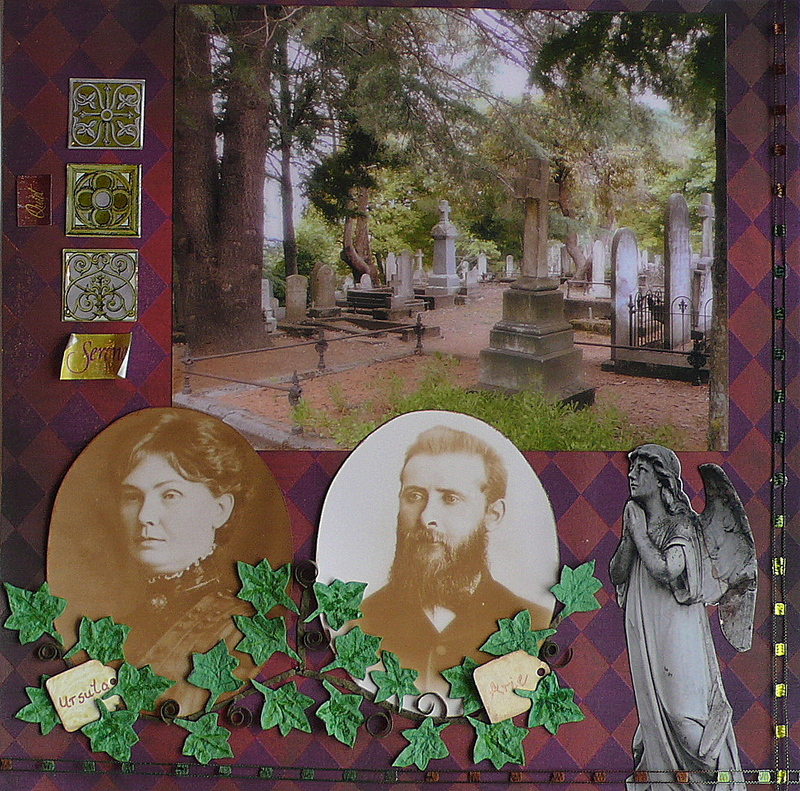 For the second page, I wanted to show the beauty of the graveyard and my great-great-grandparents who are buried there. 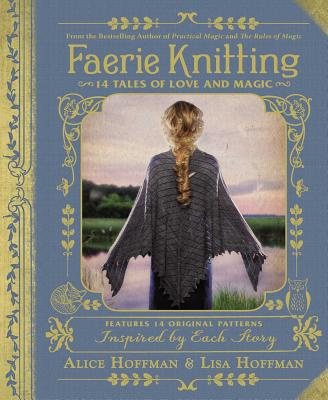 Materials used – Creative Imaginations paper, Sonnets Poemstones, fibres, handmade ivy leaves. This entry was posted in My Blog, Scrapbooking and tagged cemetery walk, gravestone symbols and their meanings, Napier Cemetery, old graveyard. Bookmark the permalink.